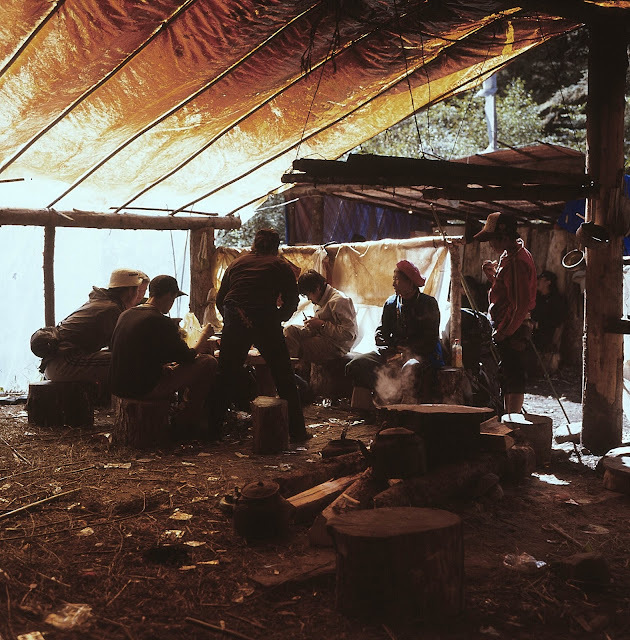 This is the scene inside one of the many wayside shelters for pilgrim doing the Kawa Karpo (Meili Xueshan) kora. The full circuit takes about 8-10 days, so these shelters are a great help in providing somewhere to sleep and some basic food and drink. The facilities are basic: what you see is what you get. Straw on the floor for a bed, and a cauldron of boiling water with which to make noodles or tsampa.